Well there’s not a lot of Internet about, hence the reason I have not been able to update our blog. These islands are pretty much uninhabited. 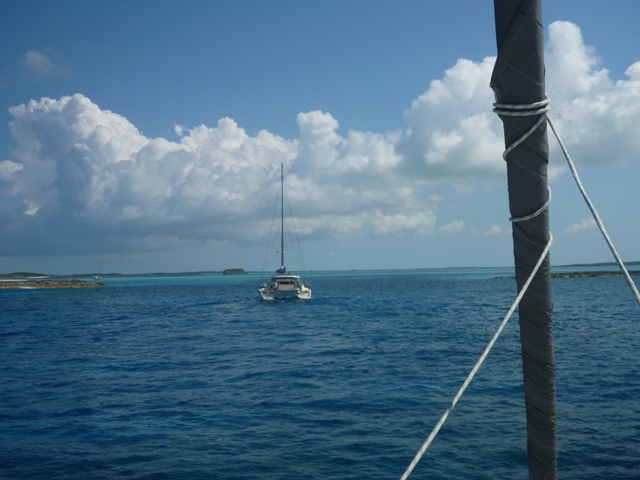 You access different Cays or islands through small cuts so we need to make sure that its either a wide cut or its calm to see the reefs as you enter. The currents can be very strong going through the cuts too so can make for things being interesting. 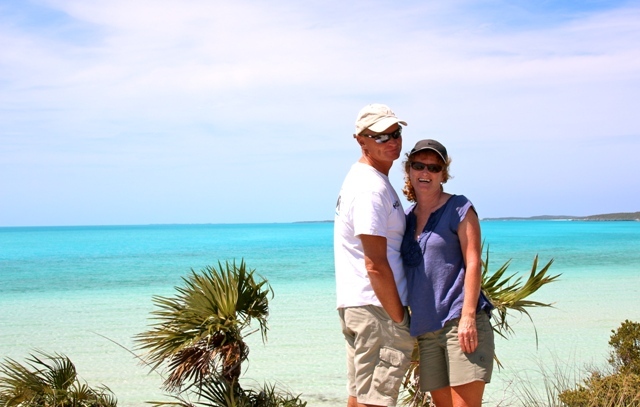 We first entered at Rat Cay Cut below. 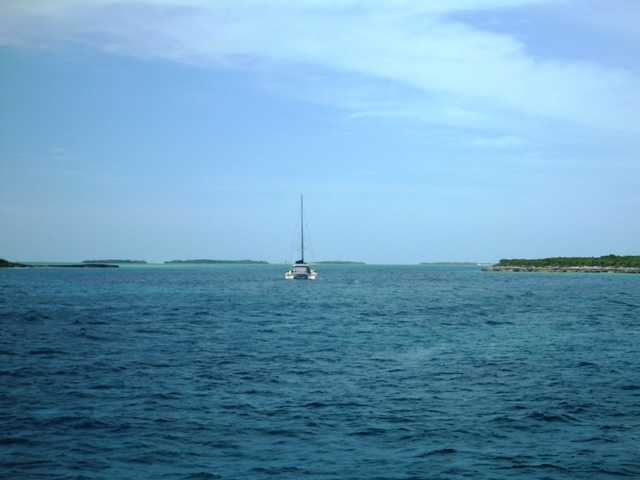 The inside passages are well protected with lots of Cays and little anchorages along the way to stop at. 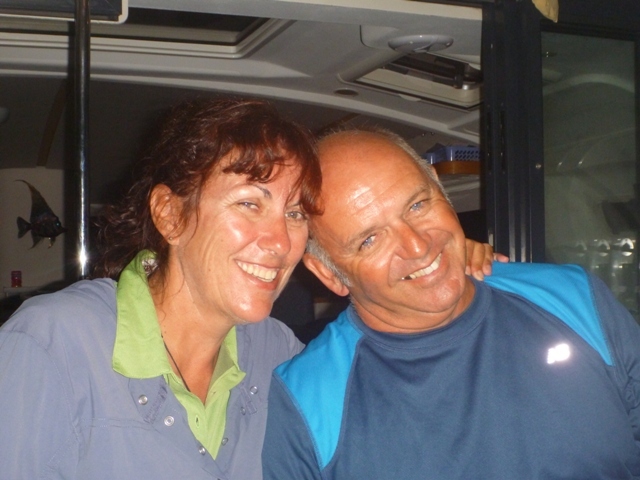 We are still buddy boating with Jen & Richard from Our Rose and having lots of fun. 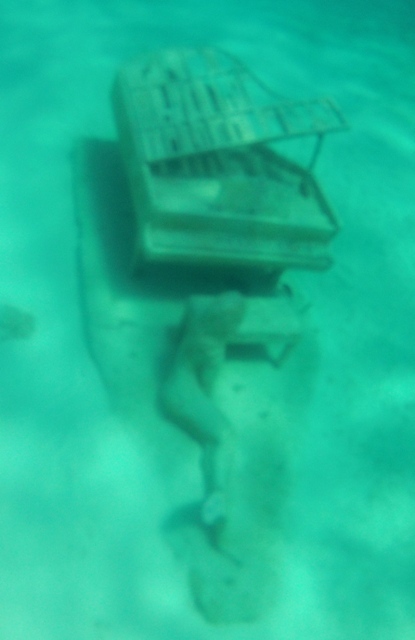 At Rudder Cay we snorkeled on a sculpture of a mermaid playing the piano in a bay at 23.52.162N 76.14.162W, supposedly put there by David Copperfield who owns islands in the area. 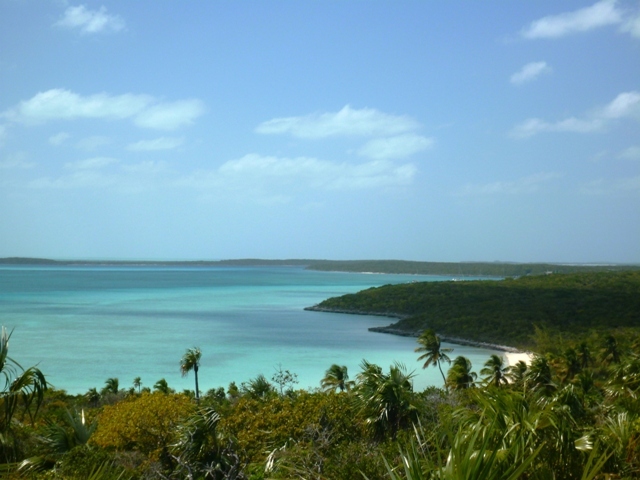 At Lee Stocking Cay we stopped at a now abandoned Marine Research Centre and went hiking on the many trails on the island finding our way to the highest point at Perry’s Peak of 123 ft, with great views along the coastlines. Amazing looking into the crystal clear waters from the cliff top and seeing sting rays etc below. 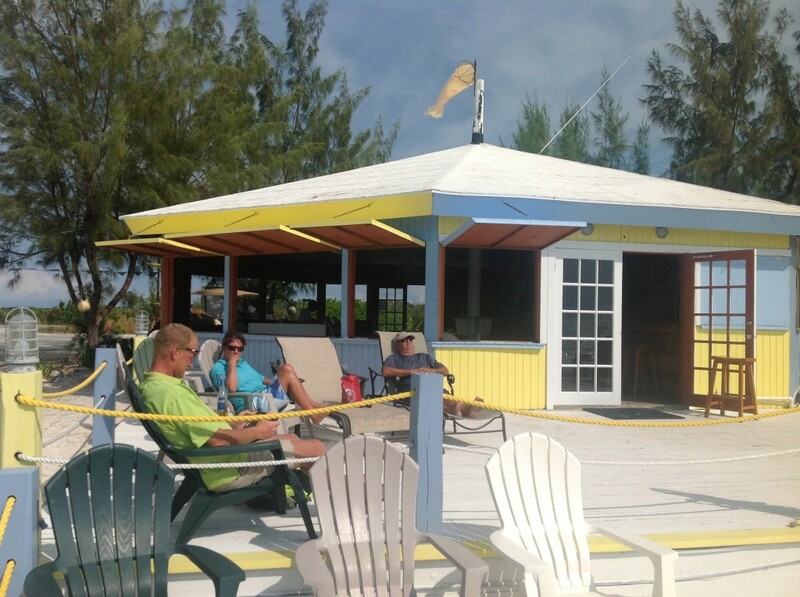 At Little Farmer Cay we were all wanting to get off the boats and enjoy a meal ashore. We started out at Ty’s on the balcony overlooking the ocean but unfortunately his cook had gone Missing in action. Great place, real shame. So it was on to Oceans Cabin for dinner. 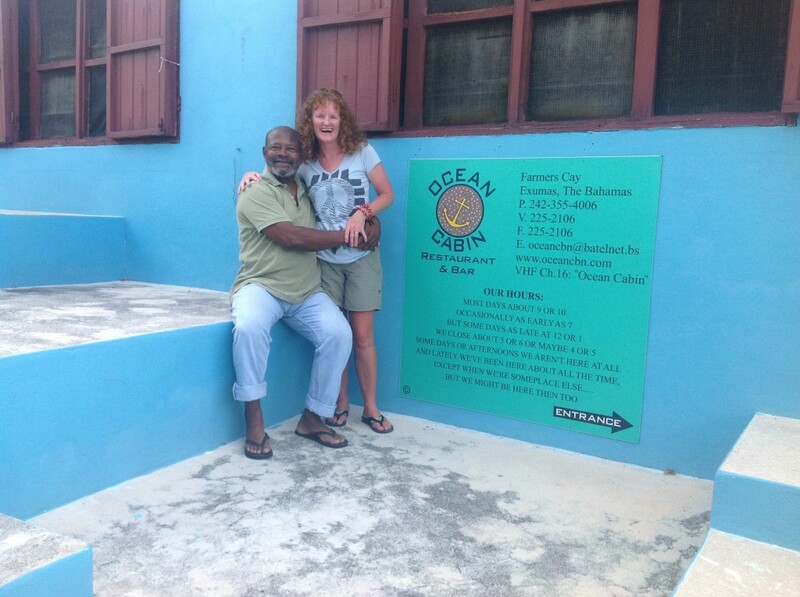 Terry who owns the restaurant came down from his house out when we walked up the walkway, to open the restaurant. 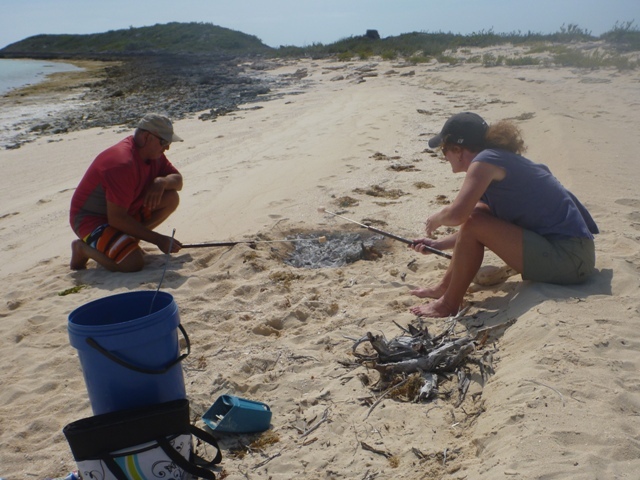 At Great Guana Cay we enjoyed a fire and marshmallows on the beach at White Point. This has got to be the calmest anchorage we have had. 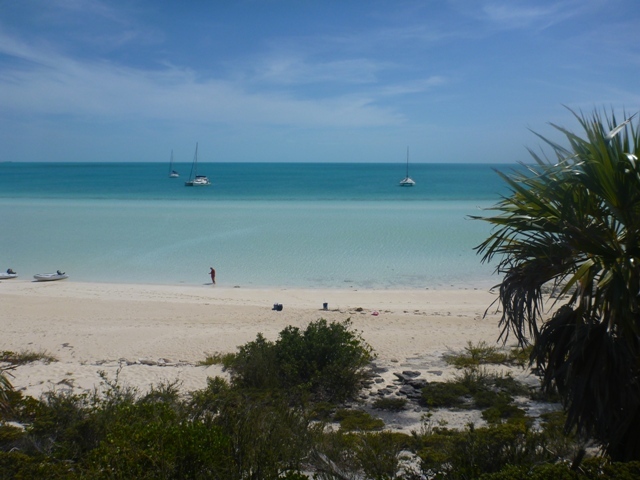 The water is crystal clear right up to the sandy beach. Till our next Internet location…. 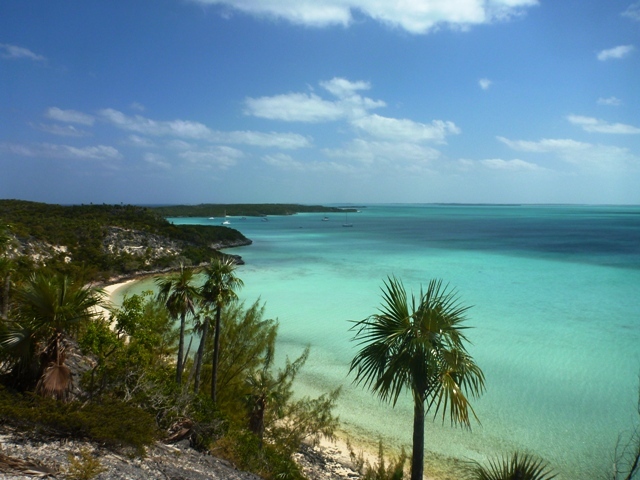 This entry was posted in Bahamas and tagged Bahamas, Exumas by Teresa. Bookmark the permalink.